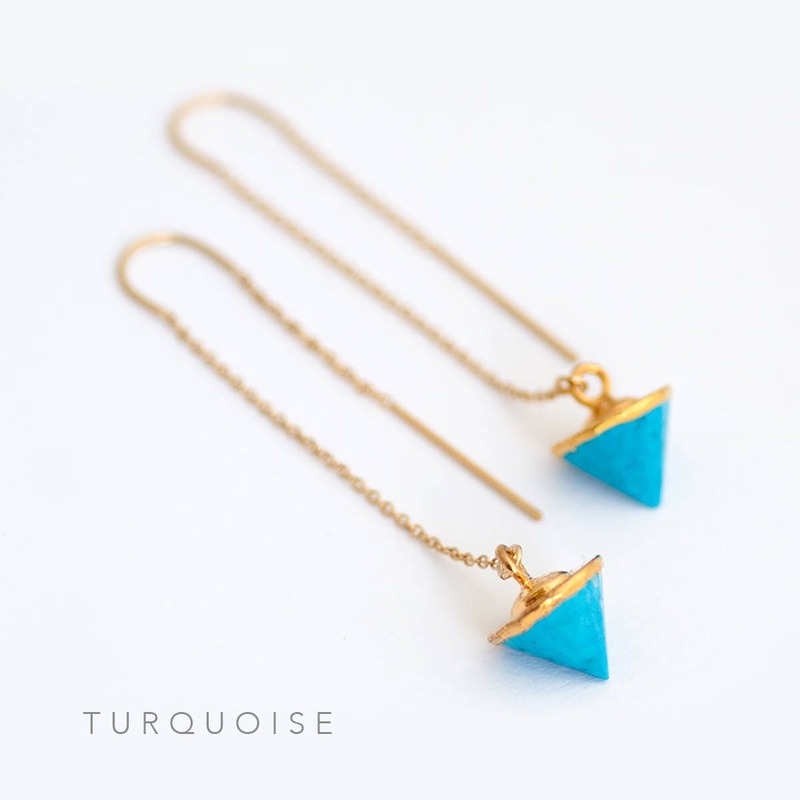 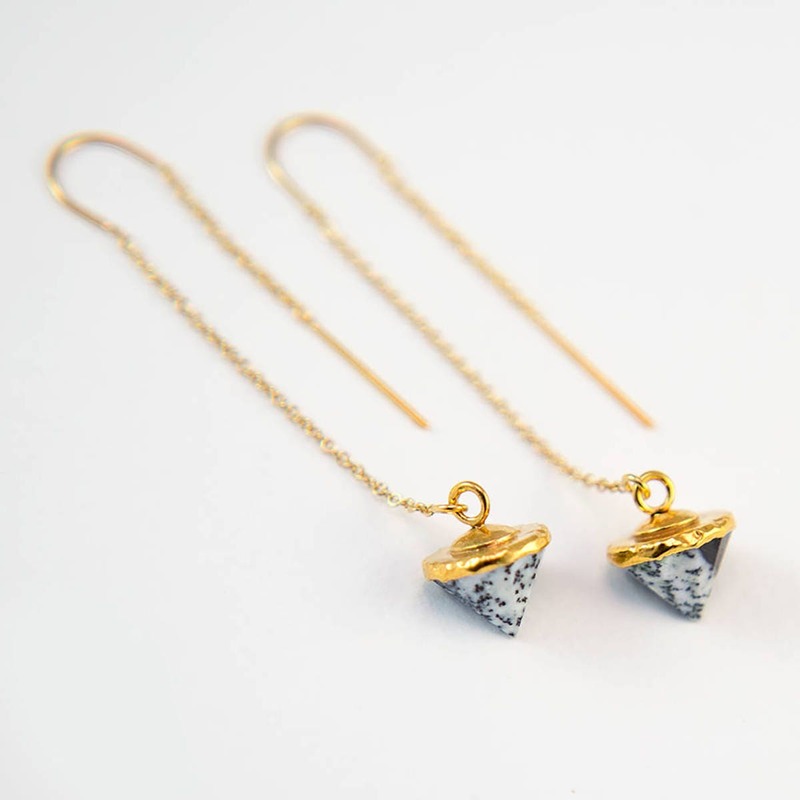 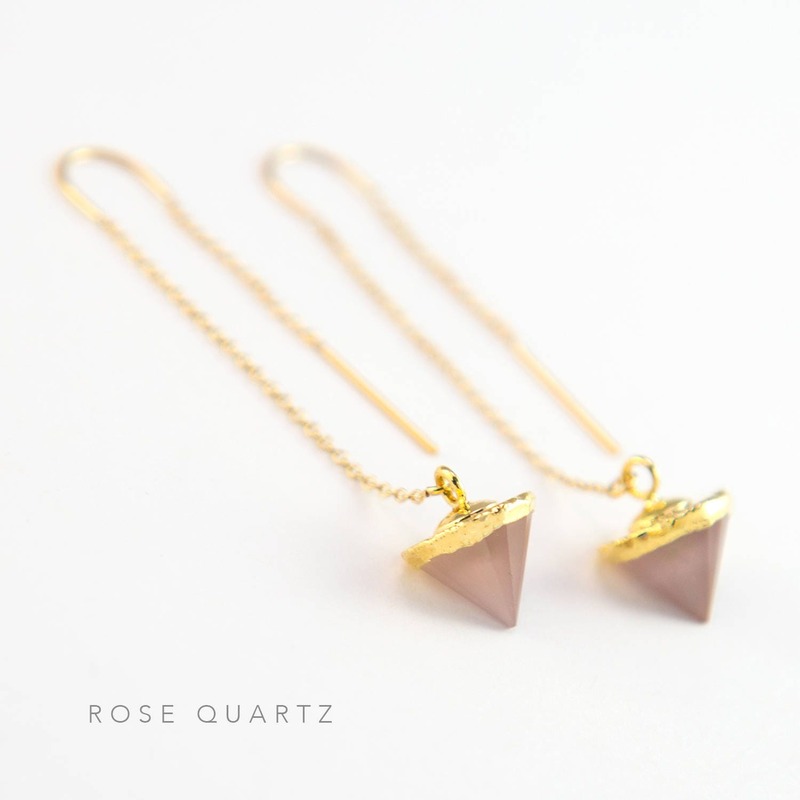 An edgy pair of minimalist, modern 24k gold electroplated spike gemstone earrings with 14k gold filled threaders. 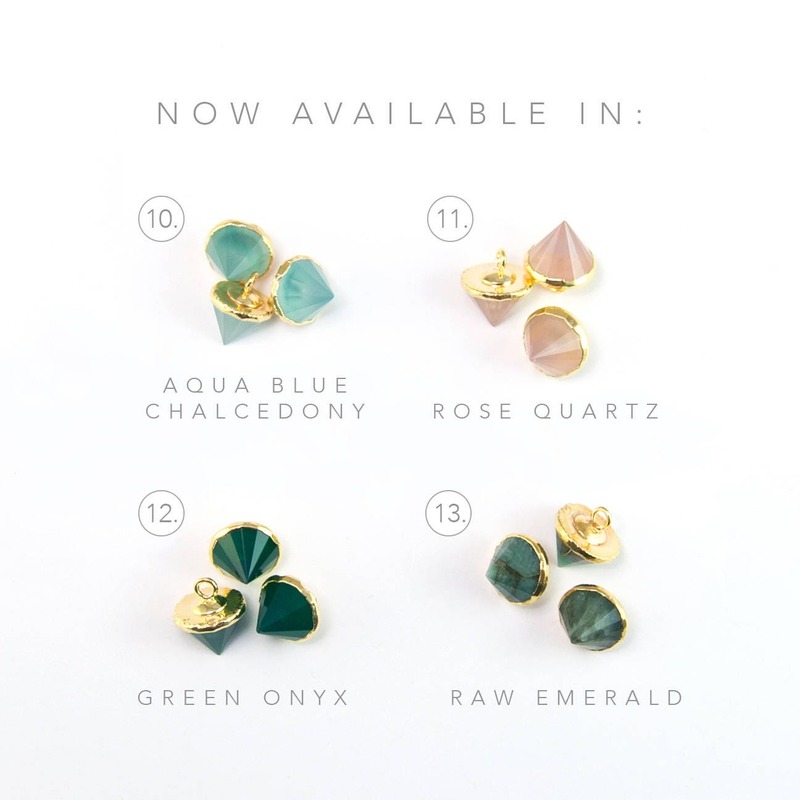 Available in 13 different stones and colors to match any outfit or your wedding color palette as bridesmaids earrings. 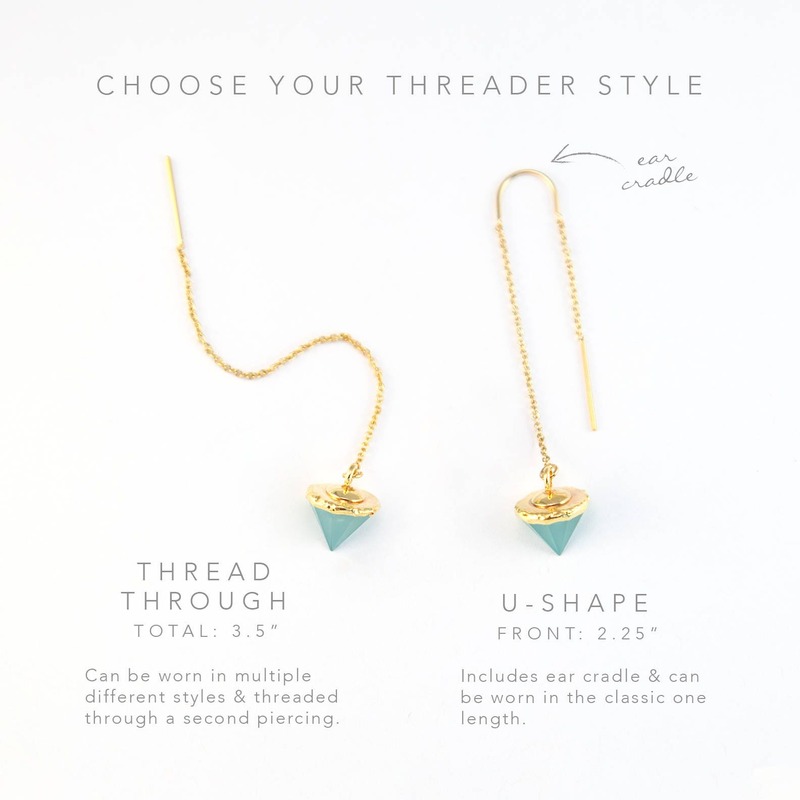 • Thread Through - Can be worn in multiple different styles & threaded through a second piercing. 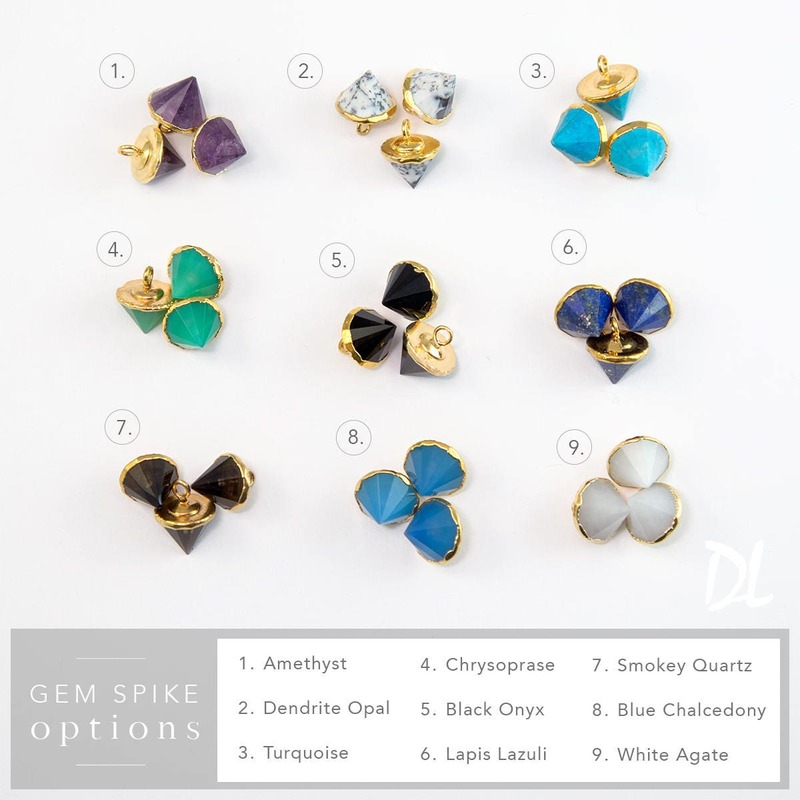 • U-Shape - Includes ear cradle & can be worn in the classic one length. 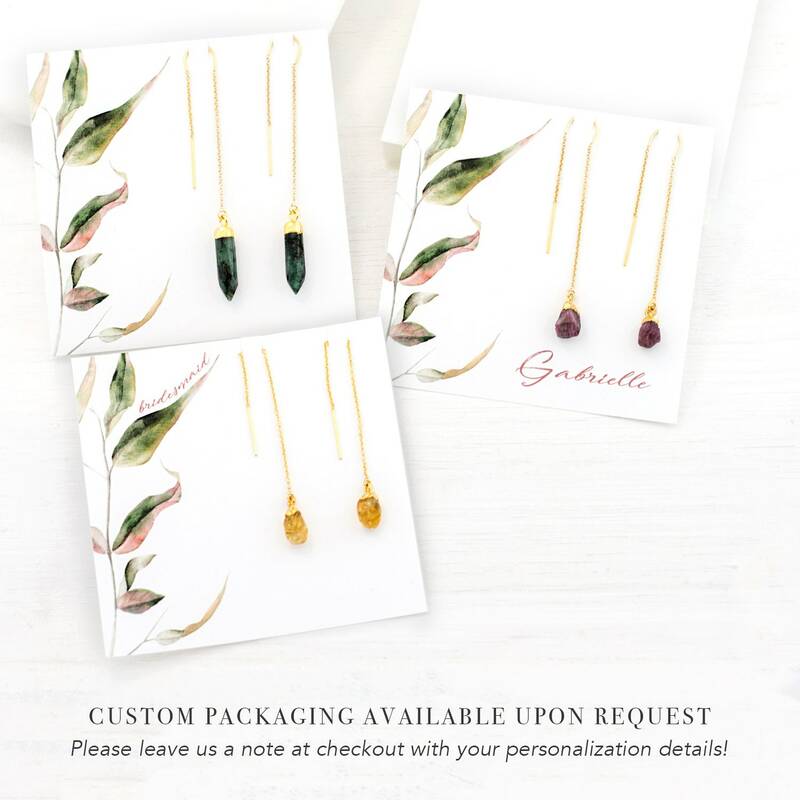 Great product to gift out. 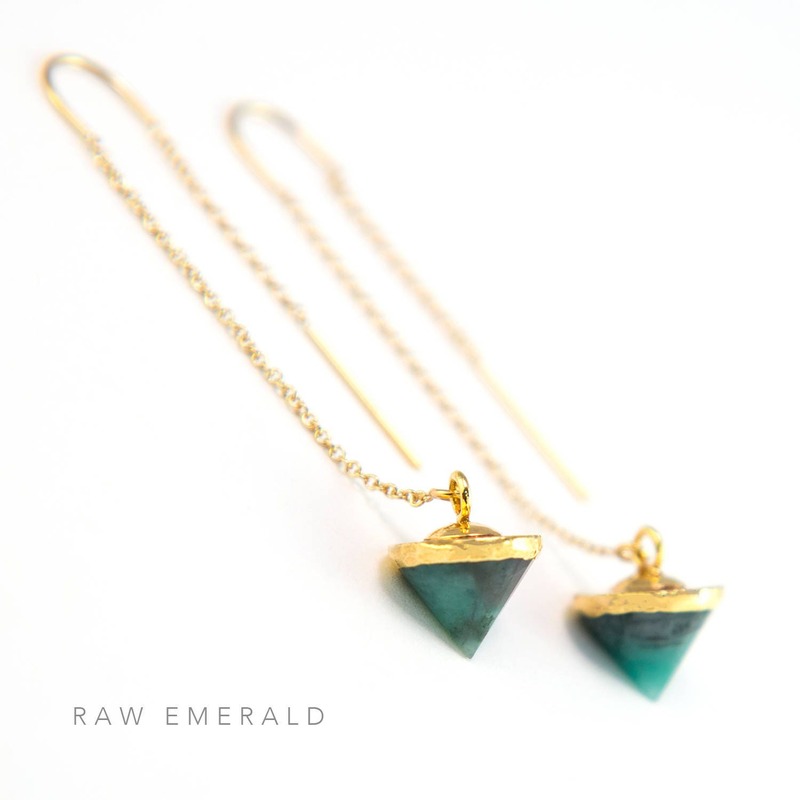 May even come back and get one for myself!